Dr. Casey Walker graduated from Palmer College of Chiropractic, and is a doctor of chiropractic. His training included an undergraduate degree, as well as four years of training at a specialized chiropractic school followed by 1000 hours of supervised clinical training. Chiropractic care is appropriate for treating a range of conditions, including lower back pain, neck pain, headaches, and injuries, and Dr. Walker is well-versed in each of them. He’s an expert in evaluating and diagnosing pain, as well as in creating and implementing individualized treatment plans for his patients. Whether you need someone who understands sports injuries or arthritis pain, Dr. Walker can get to the root of your pain and get you on a path to healing. He sees each patient as a unique individual with specific needs, and chooses the care most likely to lead to a positive outcome -- whether that is chiropractic adjustment, physical therapy, or massage therapy. 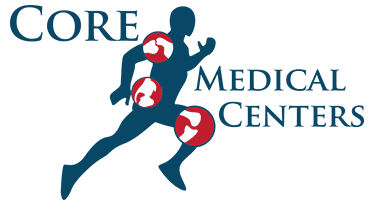 Book your appointment today to learn how Dr. Walker at Core Medical Centers in Lowell, Indiana can help you.